Owls owls owls – they are everywhere these days, from nurseries to jewelry to bags and hats, and now that it’s graduation time, they are making their appearance on campuses across the country. An old trend that’s new again, this time around it seems here to stay. 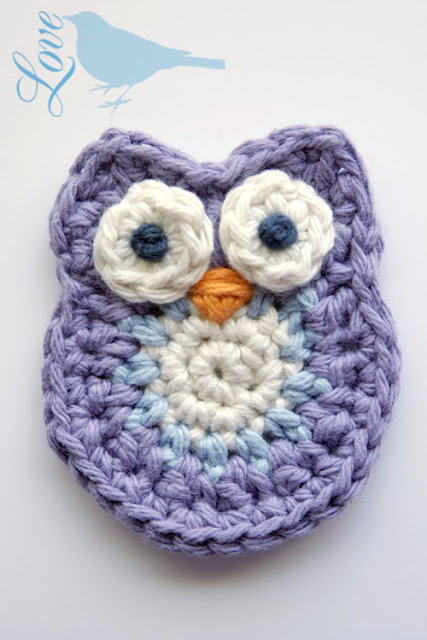 And since a group of owls is called a Parliament – and that’s just kinda cool all by itself – I’ve decided to start this week off with a roundup of free crochet owl pattens! If you haven’t gotten into the owl groove yet, you might see something here to change your mind. 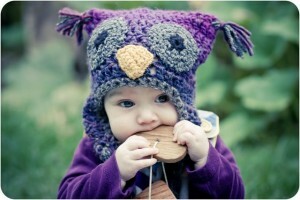 This Wooly Owl Hat Pattern – how can you resist? 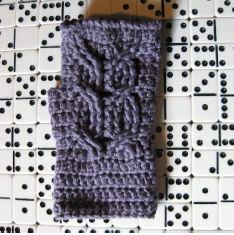 Offered as a free download at Slugs on the Refrigerator, it includes directions for both worsted/aran and bulky yarn. 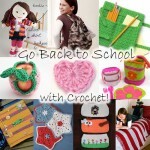 This is a beautiful blog, with gorgeous photos and great crafty ideas beyond crochet. So sweet. 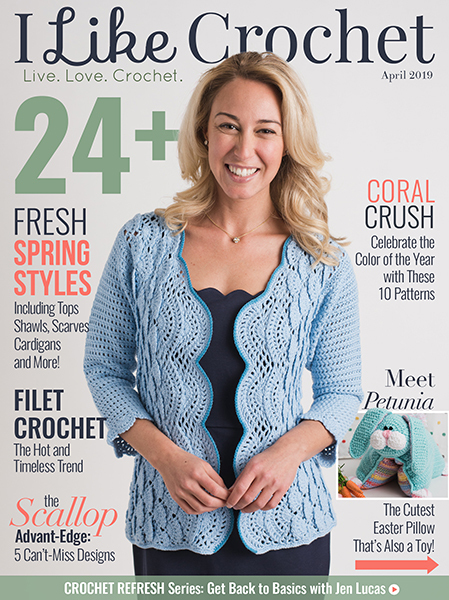 There is enough owl love for both knitters and crocheters with the Owls Two Ways patterns from Ocean of Stitches! These sweet toys are too cute. 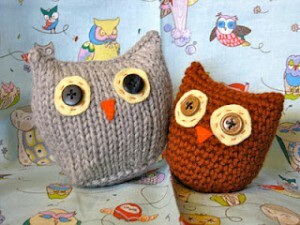 These would be great as nursery decor, an older child’s toy, or for any adult owl lover. I had an owl on my 8th grade graduation cake, but this Amigurumi Graduation Owl would’ve lasted longer! 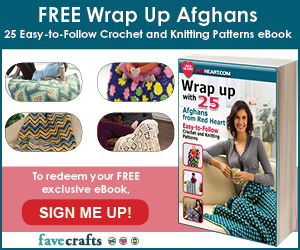 It’s on the Lion Brand website, which does require registration – but registration is free and gives you access to hundreds of free patterns. 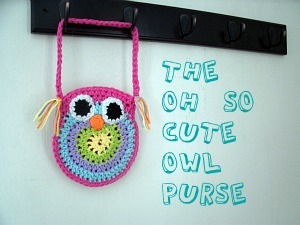 Mama G’s Big Crafty Blog has a step by step tutorial for this adorable Free Crochet Owl Purse Pattern. 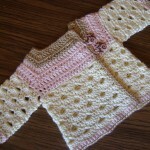 Perfect for any little girlies you know – or even some squee-ful tweens and teens. 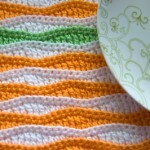 I love love love these colors, and you’ll find lots more gorgeous patterns and tutorials on this blog too. Now that Jonathan Adler has gotten into the toilet paper cozy game, TP covers have a new lease on life. Modern and hip, you can ditch the Barbie in a ballgown your grandma had (I know it wasn’t just mine!) 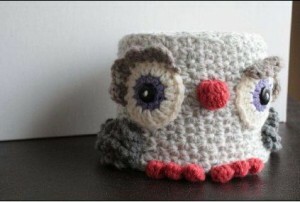 and make your own Little Owl TP Keeper! This pattern from Soapy Sue is available as a free Ravelry download – and if you aren’t on Ravelry yet… well, you just should be. The Snot Owl by Susanne Madsen keeps your tissues neat and clean, and is a fun quick project. Susanne has several great owl themed patterns available as free Ravelry downloads, so check them out! 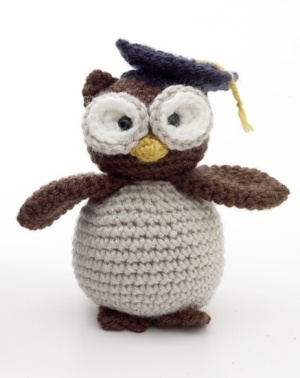 The Austin Owl Amigurumi on Crafty Is Cool is the perfect tiny owl pattern for using up leftover bits of yarn and featuring those tiny pieces of leftover fabric you can’t bear to throw away. 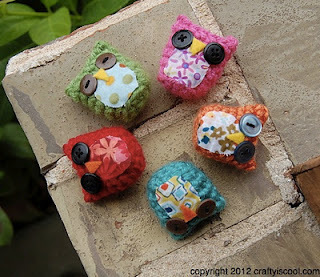 These itsy bitsy owls are irresistible! 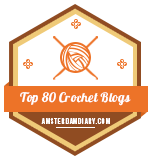 This blog is full of amigurumi patterns, so if you are a fan be sure to check out her site. This Owl Bib is another free pattern from Lion Brand, and it looks like a wonderfully quick AND practical project. 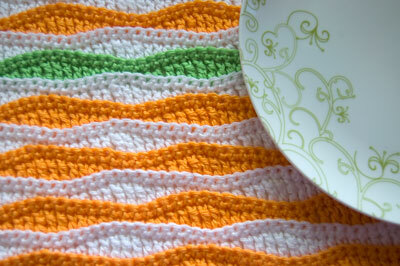 Soft cotton yarns in trendy colors make for great baby showers gifts, or make up a few for your own teething little one. The knit cable owl was all the rage a while ago, and lucky for the crocheters, it’s been translated into cable crochet with post stitches! The Owl Mitts pattern by Erika Ward uses this motif to great effect, and is another free Ravelry download! There are so many great owl patterns it’s hard to know where to stop, but I can’t crochet and type at the same time (yet! ), so we’ll stop at ten for this morning. Have you joined the owl bandwagon? Made an owl graduation gift? Have you made any owl-ish projects yourself? Is there something owly you’re looking for but just haven’t found? Let me know in the comments! 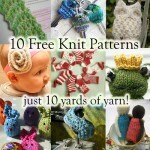 Want MORE free owl patterns? Check out my new update, Ten *More* Free Crochet Owl Patterns, with all new links and projects! Thank you for include me!! 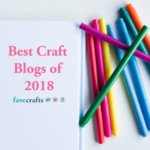 Thank you for sharing these blogs and wonderful patterns! Great post!! 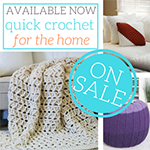 You’re the 1st one in Google searches for “crochet owl pattern.” Yay for you! 🙂 I’m going to crochet the one from Crafty is Cool. Thanks Sara! 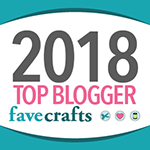 😀 It’s definitely one of my most popular roundups! There are some new ones out since I did this one too…. might have to do a part 2 soon! oh my gosh! Now I HAVE to learn to crochet. My sister is OBSESSED with owls and Christmas is right around the corner. They are so cute, thanks for the pattern, well explained. Thank you for sharing it Laura! Thanks for sharing these patterns, to say I am owl obsessed is an understatement. Thanks! 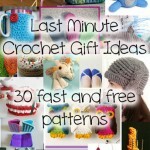 I’m new to penterest & saw your free patterns. 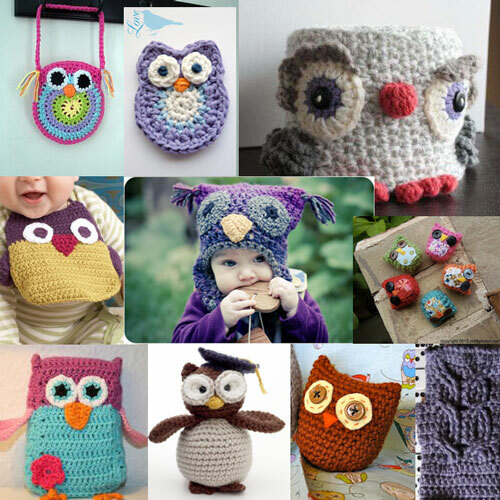 I’ve been crocheting for at least 55 years and just love your owls. I can’t wait to get started.